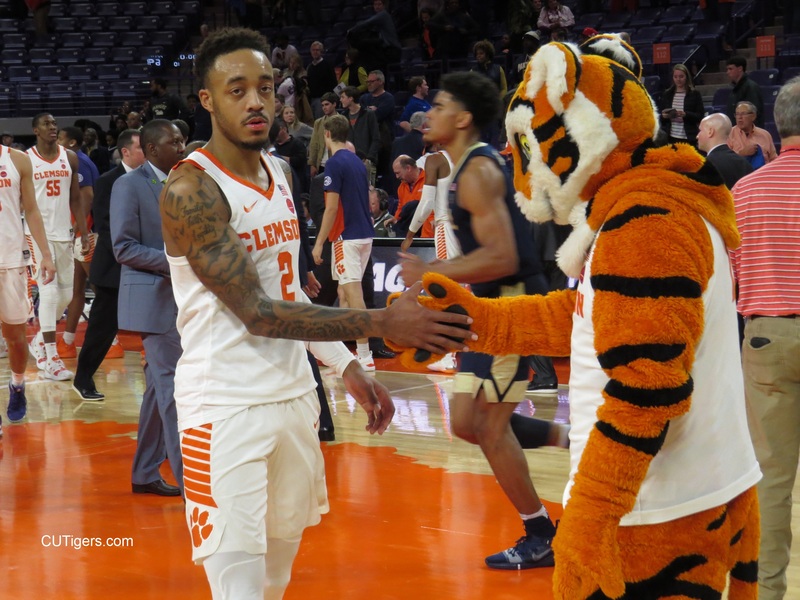 CLEMSON, SC - After a devastating buzzer-beater loss at #21 NC State, the Tigers bounced back with just what they needed: an 82-69 win over Pitt. After failing to make a single 3-pointer at NC State for the first time this season, Mitchell and Reed immediately knocked down a couple 3-pointers back-to-back to open the scoring on Tuesday night, and the Tigers proceeded to make nine 3-pointers in the first half, leading to a 51-23 lead at the break. Reed was the best free throw shooter in the ACC but missed his final four attempts in the last minute of the NC State loss. He was able to put that behind him quickly, though, going 6-6 at the free throw line against Pitt and scoring a team-high 26 points. Brownell told me that Reed was immediately in the gym shooting free throws as soon as the team got back from Raleigh. Post-game interviews with Brownell, Trapp, Jevan White and Pitt Coach Jeff Capel are below. Trapp scored a career-high 16 points. I'll have more in a bit! To continue reading, you must be a CUTigers subscriber. Never miss the latest news from CUTigers!